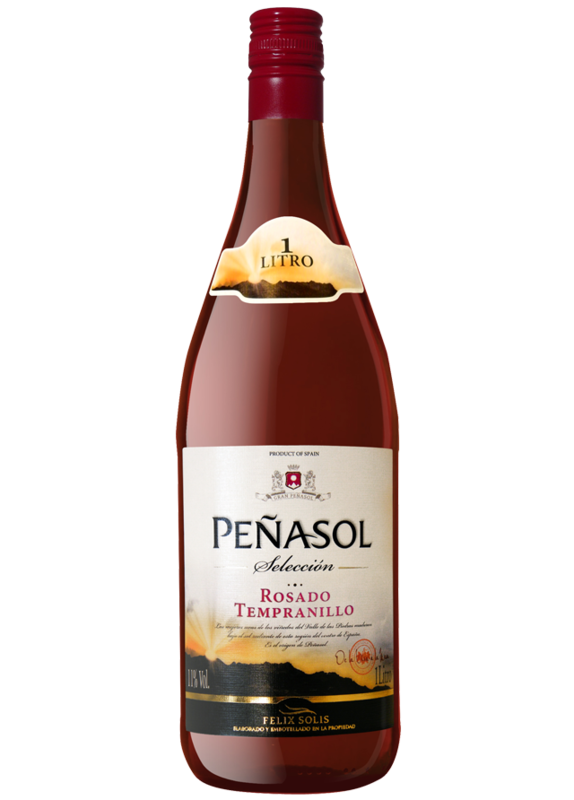 Rosé peñasol takes its name of the place where it is made: the sunny Valley of the Stones, old name of Valdepeñas, the valley of the river Jabalon. The wine is made of tempranillo grapes, the autochthonous grape from Castilla- La Mancha. Elegant pink wine with hints of red fruits. Light and fresh on the palate. Soups, fish and seafood are perfect to pair with this wine. Grapes undergo strict controls in the vineyards to decide the correct moment to be harvested and transformed into a wine with the right amount of sugar and acidity. Must remains in contact with skins for 8-10 hours. Fermentation is done in stainless steel tanks at 16-18ºC during 10-12 days, and the result is a light, clean and fruity wine.